Introducing the Neff S51M53X3GB fully integrated dishwasher 60cm with 13 place settings. This Neff built-in dishwasher has a eco wash setting, this reduces the energy used in the wash cycle. As well as 5 other programmes - intensive, auto wash, quick wash, pre-rinse, and extra dry. 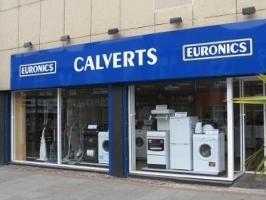 This Neff integrated dishwasher is an exclusive Euronics agency model.